For Vibes. Jazz/RandB. Includes a high-quality printed method book and a compact disc containing a complete performance with soloist; Published by Music Minus One. 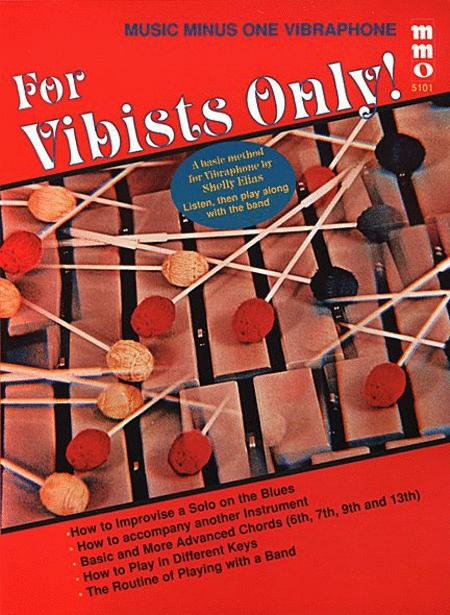 This album is designed so that you can learn the basics of playing the vibraphone. If you are a drummer it is never too late to start. If you already play keyboard percussion instruments but want to learn how to improvise and accompany soloists in popular music, this album is an excellent start. Includes instructions on how to improvise a solo on the blues; accompaniment techniques, chords both basic and advanced, and much more. Soloist: Shelly Elias, vibes. Ensemble: The Shelly Elias Quintet: Mike Abene, piano; Bob Rose, guitar; Kenny Smith, bass; Joe Hunt(drums.